Everyone deserves a chic retreat within their home. 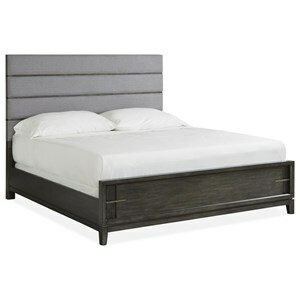 With its winged headboard and low profile base, the Wheeling upholstered bed has a private allure that exudes refined modern style. Tapered feet in a Dark Espresso finish add to the contemporary appeal, while nailhead trim adds a classic element. Available in custom fabric options, you can go bold with a jewel-toned fabric or keep the look clean and fresh with neutral tones. 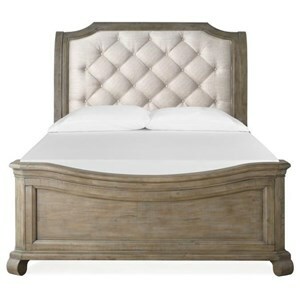 The Interiors - Beds Wheeling King Upholstered Bed with Winged Headboard by Bernhardt at Reeds Furniture in the Los Angeles, Thousand Oaks, Simi Valley, Agoura Hills, Woodland Hills, California area. Product availability may vary. Contact us for the most current availability on this product. 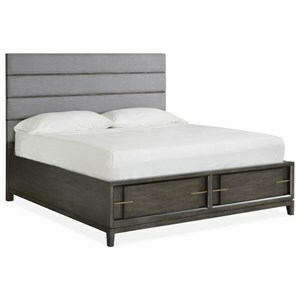 362-FR76 Wheeling King Footboard/Rails 1 0" 0" 0"
362-H76 Wheeling King Headboard 1 0" 0" 0"